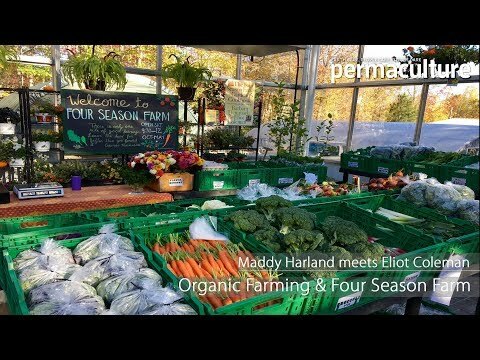 Maddy Harland defines biological or biotime and explains why keeping a record of seasonal events year on year can increase your garden yields and give you insights into nature's cycles. "When elm leaves are the size of a squirrel’s ear it is time to plant corn and beans." From a wider perspective, biotime is the observation of patterns in nature. Nature doesn't run by human calendars, it has its own seasonal rhythms that are influenced by the great flows of planetary cycles like the waxing and waning of the Moon, the tides, changes in global temperatures, phenomena like El Nino, the Gulf Stream... these are huge and varying cycles that affect our regional weather. This in turn can influence when the first bulbs open, when birds migrate, build nests, lay eggs, when the leaves on the oak trees begin to open, and when insects hatch and so on. Bill Mollison, the co-originator of permaculture, was well versed in biotime being a keen observer, someone who grew up in rural Tasmania, and a man who listened to and respected indigenous people all over the world and learnt from the ways they lived and grew food. Hence Lea Harrison, one of his first students, teaching me about biotime on her PDC. Since the early 1990s, Tim and I have kept a biotime diary, recording phenomena like the first bloom of snowdrop of the year, the first cuckoo call (sadly more and more rare), the first sighting of rarer birds like the Red Kite over our garden. Tim also records weather events - very late frosts and hail and unseasonal temperature highs and lows. It is useful when people talk about climate change to be able to report when the last unseasonably warm Spring was and compare notes. It is important not to misinterpret every unusual weather event and keep an objective eye on the cycles. The diary is simply a blank book. Each page or half page is dated without a year or the day of the week. You simply fill in the year and record beside it an observation. Year on year this enables you to refer back and begin to see patterns in the natural events occuring around you or to identify the unusual like an early flowering of a plant weeks before it usually occurs. I have been gathering a list of biotime tips for the gardener. I am going to keep an eye on my lilac this year and test out how well they work in my climate and geographical region (south east part of England fairly near the coast). You are most welcome to add your own in the comments section below. Plant corn and beans when elm leaves are the size of a squirrel’s ear, when oak leaves are the size of a mouse’s ear, when apple blossoms begin to fall, or when dogwoods are in full bloom. Beans: Plant beans when lilac is in full bloom, also cucumber seeds and squash seeds. Beets: Blooming crocus are your cue to plant radishes, parsnips, and spinach. Broccoli, lettuce, spinach, peas, and cabbage: when lilacs first begin to leaf out and dandelions are in bloom. Brussels sprouts: Plant Brussels sprouts when lilacs first begin to leaf out and dandelions are in bloom. Cabbage: Plant cabbage and cabbage family crops (broccoli, Brussels sprouts, collards) when lilacs first begin to leaf out and dandelions are in bloom, also beets, carrots, lettuce, and spinach. Cabbage for spring: Plant spring cabbage in fall when mock orange is in full bloom. Collards: Plant collards when lilacs first begin to leaf out and dandelions are in bloom. Corn: Plant corn when apple blossoms begin to fall and when oak leaves are the size of a squirrel’s ear. Cucumber: Plant cucumber seeds when lilac is in full bloom and when the blooms just start to fade, also bean seeds and squash seeds. Eggplant: Transplant eggplant when irises bloom and daylilies start to bloom, also melons and peppers. Hardy, cool-season spring crops: plant hardy crops when plum and peach trees are in full bloom. Peas: Plant peas when daffodils and forsythia are in full bloom. Potatoes: Plant potatoes when the first dandelions bloom. Squash: Plant squash seeds when lilac is in full bloom and just as the blooms fade, also bean seeds and cucumber seeds. Tomatoes: Plant tomatoes, early corn, and peppers when day lilies start to bloom or lily-of-the-valley plants are in full bloom or flowering dogwood are in bloom. Perennials: can be planted when the maple trees begin to leaf out. Start succession plantings of beets and carrots when dandelions are blooming. Biotime is the conscious act of observing nature and recording events and patterns. It brings me into a greater sense of intimacy with the plants in my garden, the microclimate of my region and in the garden itself, and makes me more aware of the different species and their habits every year. It is a useful way of becoming more intimate with your local surroundings, can help predict frosts so you can protect tender plants, observe new species, see deeper patterns in your landscape. There is a lot of bad news in the world about collapsing ecosystems. Through restoring an exhausted, ploughed out field into a vibrant forest garden full of food in the last 25 years, we have seen great changes. Biodiversity has increased exponentially as we have created habiatat, rare species have moved in as well as many common ones, pests have come into balance with predators, and we have created microclimates and habitat where once there was subsoil and fierce prevailing winds. This is the power of growing food in permaculture and agroecology systems - they not only increase domestic and farm yields per hectare/acre, they restore the soil and sequester carbon. Creating habitat, restoring a piece of land, however small, and planting your own Eden, this is one the most satisfying and beautful things you can do with your life. Even if you don't have a garden, keeping a biotime diary is a way of deepening your powers of observation. It can help you 'read' the landscape and bring you into relationship with your locality and its seasonal rhythms. Permaculture magazine: print, digital, online. I am amazed here to play this extra energetic video game.This is the great https://myminesweeper.com zone to entertain your gaming experience and enjoy as well as you can for free and online. Turning Rainforest into Sugar - is this the best we can do? "Enlightened Agriculture is a return to small mixed farms of maximum diversity, employing many skilled workers, and Tudge spells out the multiple benefits of this."